The key to your progress.Welcome to the Discipline of Dating series. If you haven’t read the introduction and started Stage 1, read those before you continue. So you’ve made this far through Stage 1. Awesome! I’m sure your hungry to start making changes right way -- and we’ll get there soon. But first, there is one more Action Item you need to take that will get the complete assessment you need to move forward. Getting direct feedback from other people. How do people actually see you? This particular part is impossible to know without feedback from people outside of your world. Maybe you play with your hands when you put them in your pocket. Maybe you have a weird twitch in your eye when you talk. Maybe you look at the ground when you’re talking with someone. Whatever it is, your gestures and mannerisms can help or hurt your impression on the people you meet. The best way to start identifying and correcting the weaker points of your presentation is to get personal, constructive feedback from people. Start by asking your family and friends if you have weird things about how you carry yourself in conversations. Then, take it to the next level and talk with co-workers, peers and strangers about what they notice about the way you present yourself. You can ask or write these things down and send them in an email to as many people as possible. It is ideal to send them to more women than men, as women are the ones you’re trying to attract. Have them be as honest as possible and not withhold any information that may seem hurtful. They’re your friends. What they say won’t hurt you. Describe your impression of me in a text message (160 characters). What are 5 things that describe my appearance / grooming? What are 5 things about me you find attractive / cool? What are 5 things about me you don’t find attractive / cool? What are 5 things that would describe my personality? If you didn’t know me and saw me at a bar or coffee shop, would you think I’d be single / taken? Popular / unpopular? You’ll be shocked to see what they tell you -- in a good way. It’ll put a spotlight on the things you are doing that are projecting the message you don’t want to send. After you get the feedback, you’re done! Check out all the things they’ve said. Remember: Don’t take things personally. They’re your friends. They care and want the best for you. 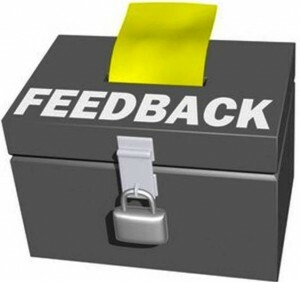 Let all of the feedback serve as a baseline to reference to as your making changes and adjustments. Then, after a few months, send it out again and see how far you’ve come. 1. You’ve completed all of the Action Items in this Stage. 2. You’re clear on who you are and how you want that to be projected. 3. You are aware of the incongruences you have between what you want to project and what you’re actually projecting. If you’re done with everything, I’m pumped for you. We’ll get more into building on your foundation with proven successful strategies for your dating life in Stage 2.